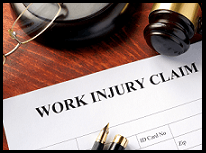 Expert Webinar "Subrogation of Equipment Accident & Industrial Claims"
Workers are injured on the job every day. Too often subrogation potential is dismissed due to perceived problems involving the claimant’s own role in the accident. On Tuesday, June 27th, at 1:00 pm EST, Daniel McDonough, P.E., ACTAR, a mechanical engineering expert and accident reconstructionist at ARCCA, will join with Christopher Deegan, Esq. to present the legal and technical aspects of evaluating an equipment accident claim, including legal theories of liability, notice, and evidentiary issues; the investigative and forensic engineering process; safety theory; and case studies. Strategies for successful case response and recovery will be discussed. Learn how to make decisions re evaluating the subrogation potential of industrial equipment injury claims based on the safety and guarding theory and other legal issues. We hope you can join us for this informative presentation! To register, click here. Note: This Webinar is hosted by NASP and is free to NASP members. NASP charges a $100 fee for non-members, or $60 for 3 or more attendees from the same company.